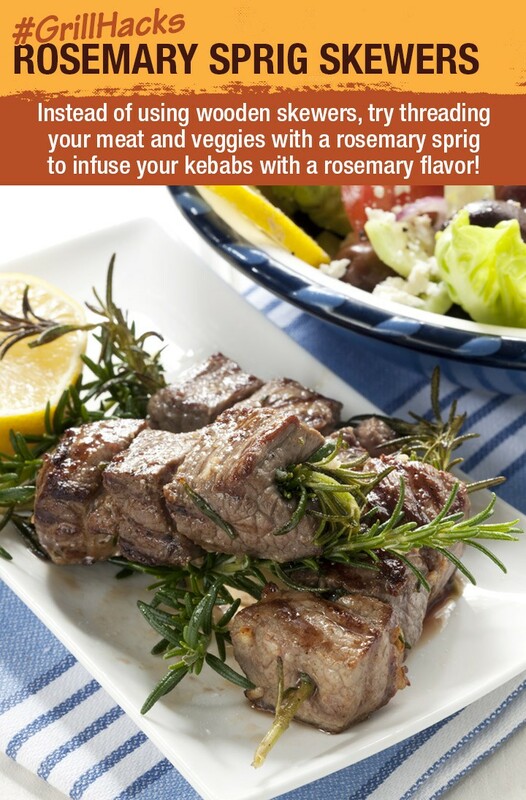 Rosemary is one of the most aromatic and flavorful herbs. Its needle-like leaves have a pronounced lemon-pine flavor, with hints of mustard, that pairs well with vegetables, fish and meat. Instead of just using diced rosemary in your marinade, get a little creative and use it to replace the metal or bamboo skewer! First, skewer your meat of choice to create a hole – beef or lamb work well. Then thread the rosemary through each piece as you see in the photo. The stem should be sturdy enough to keep the pieces together and will infuse its strong Mediterranean flavor into your meal.